Listen, we’re under no illusions about the fact that corporations are incentivized to associate their brands with cultural products in order to trick us into forking over more cash because, hey, they also like the thing we like. 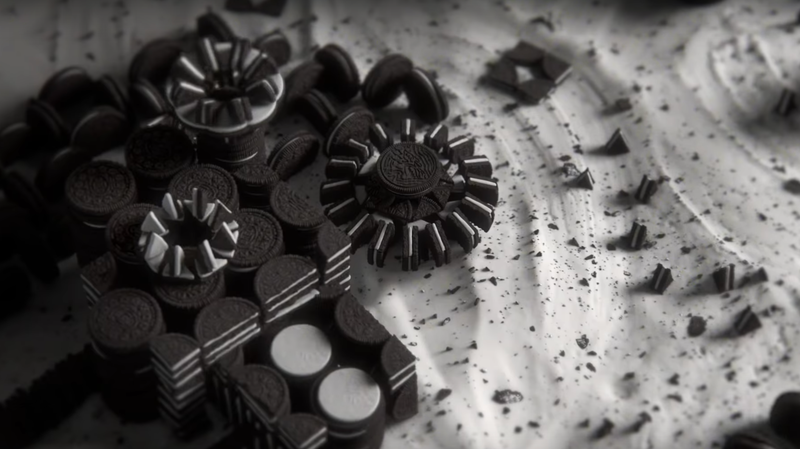 That being said, this new Oreos commercial, in which the Game Of Thrones opening is recreated to look like a bunch of Oreos, is, admittedly, pretty cool. Maybe it’s the fact that, in the weeks leading up to the final season premiere, anything associated with Game Of Thrones seems exciting. Or maybe it’s just that we haven’t had one of these delicious sandwich cookies in a while. Whatever the reason, we’re very much intrigued by the thought of a Winterfell castle made entirely of Oreo cookies and a magical ice wall that consists solely of delicious cream filling. This cross-promotional cookie ad is all part of HBO’s #ForTheThrone campaign, which recently featured a global scavenger hunt and a blood drive via the Red Cross. Undoubtedly, this campaign will end during the series finale, when the Night King and Sansa Stark walk hand-in-hand into Kings Landing to share a bag of delicious Westerosi-brand Oreos.